Learn to read while getting up close to the magnificent lion in this exciting book. Find out how a lion cub joins the pride and grows to become the king of the jungle, discover how lions in Asia and Africa are different, and learn why we need to work to protect these endangered animals in the wild. Amazing up-close photographs show lions playing on the plains of Africa, providing strong visual clues to build vocabulary and confidence. Amazing facts encourage enthusiasm for reading. Additional information spreads build knowledge further, such as how lions have adapted to be top hunters. There's also a fun quiz to develop reading comprehension. This book has been developed in consultation with literacy experts to help improve children's reading ability. 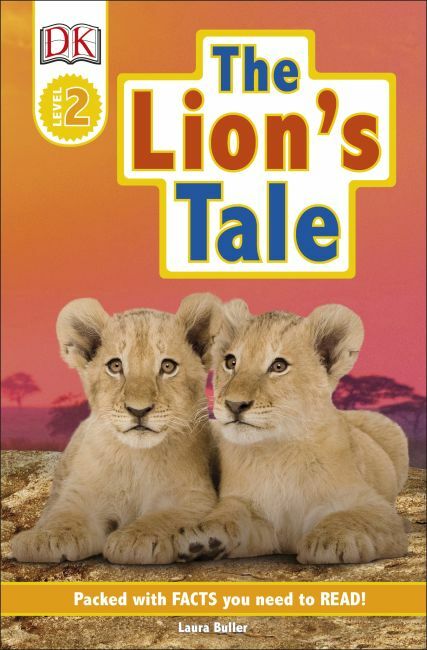 A Lion's Tale is a new title in the exciting and engaging four-level DK Readers series. Developing a lifelong love of reading, DK Readers cover a vast range of fascinating subjects featuring DK's stunning photography, to support children as they learn to read. Packed with fun facts for kids, this innovative series of levelled guided reading books combines a highly visual approach with engaging nonfiction narratives. Reading levels progress from brief, simple text in the early readers, to slightly longer, more detailed nonfiction chapter books, to challenging nonfiction containing rich vocabulary and more complex sentence structures. DK Readers are assessed by both Fountas & Pinnell and Lexile levels, and are ideal for learning to read, for subject research, and of course, for children to read for pleasure.